Kroger Community Rewards - H.A.L.T. Here is an easy way for you to support HALT by doing what you already do! 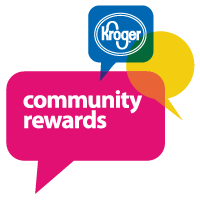 It’s time for the annual 2014-2015 enrollment in the Kroger Community Rewards Program. They’ve expanded the program and will be giving away $2.5 million to local organizations this year. If you registered last year simply log in and click on “My Account” and choose HALT (organization 51944) under Community Rewards. Not registered? Register your Kroger Plus card for Community Rewards (or get one at your local store if you don’t have one) and choose H.A.L.T (organization 51944). Every time you shop, Kroger will make a donation to the HALT program, and you’ll be helping these wonderful kids and rescue dogs that participate in the program.